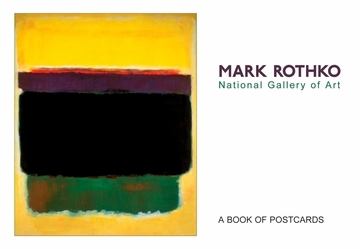 Mark Rothko was born in 1903 in Dvinsk, Russia (now Daugavpils, Latvia). He immigrated to the United States with his family when he was ten years old and settled in Portland, Oregon. Intending to become an engineer or an attorney, Rothko enrolled at Yale University in 1921 but abandoned his studies in the fall of 1923 and settled in New York City. There he studied under Max Weber at the Art Students League and met the modernist painter Milton Avery, whose spare forms and subtle colors profoundly influenced the young artist’s direction. During the 1920s and 1930s Rothko produced hundreds of figurative drawings and paintings, including nudes, portraits of family and friends, subway riders, and architecture of the city. He worked on both paper and canvas, a practice he would continue throughout his career. In the 1940s Rothko’s art underwent radical changes in response to the war abroad and the chaos it generated. He was introduced to new ideas brought to New York by artists fleeing Europe, among them Max Ernst, Joan Miró, and Piet Mondrian. During this decade Rothko’s work moved increasingly toward abstraction as he explored a range of styles rooted in expressionism, symbolism, and surrealism. By 1950 Rothko had arrived at his signature style, achieving his ideal of “the simple expression of the complex thought.” This most often took the form of compositions of two to four rectangular forms, aligned vertically against a color ground. Within this format, Rothko used a broad spectrum of colors and tones, and a variety of formal relationships, to create moods and atmospheric effects ranging from dramatic to sober to lyric. Following an illness in 1968, Rothko relinquished his work on large canvases and concentrated almost exclusively on works on paper until his death in 1970.